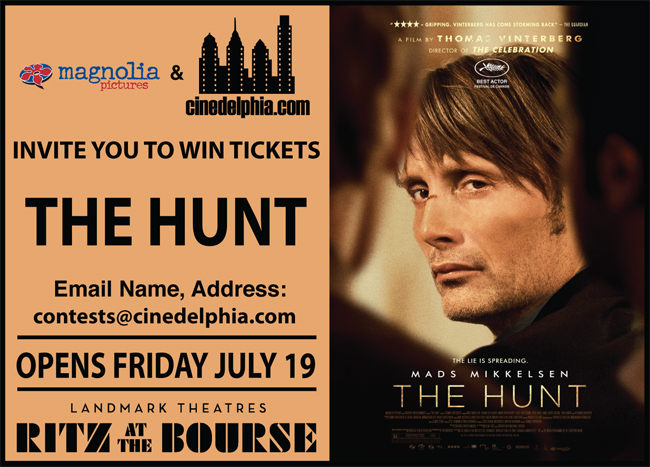 We’re giving away a bunch of pairs of movie tickets to see The Hunt at the Ritz at the Bourse. To enter, e-mail us your mailing address. Winners will be chosen at random, only one entry per household please. Looks like it will have you captivated the entire time.